Is this the first book that you have written? Half Bad is the first book I've had published. I have written one other novel before this, which I tried and failed to get it published and now it is in a box never to be looked at again. When and where did you get the first ideas for this book? I think my first inspiration came from a storytelling festival I went to in 2009 (Festival at the Edge in Shropshire) - I was steeped in folklore for three days and loved it. In these old stories three was a significant number (three brothers, three branches on a bramble, three wishes etc.) and I had the basic idea of a scenario where to become a true, adult witch you had to be given three gifts. I didn't know much about witches but I knew there was 'good' White magic and 'bad' black magic and the themes of good and bad reminded me of the lines from Hamlet 'there is nothing either good or bad, but thinking makes it so'. I liked the idea of playing around with the assumptions that the White Witches would be the good guys and the Black Witches would be bad. To potential readers, can you describe the book as you see it? 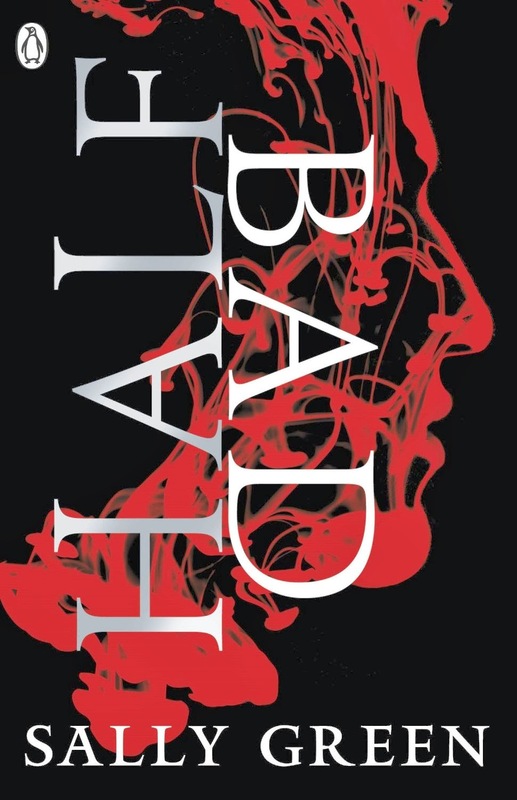 Half Bad is the story of Nathan a teenage witch. At the beginning of the story he is a prisoner of the White Witches. He is being kept in a cage, not because of anything he has done, but because of what he is - a Half Code (half White Witch and half Black Witch) - and because his father is the most feared of the Black Witches. The story traces Nathan's life from birth to his seventeenth birthday by which time he must escape White Witches and go through a ceremony (receiving three gifts) to become a true, adult witch. Nathan's life is full of physical hardship, even torture, but his mental struggles are as difficult as his physical ones. He is alone, abused and afraid of both the White Witches and the Black, and added to that he is not sure how he himself is going to turn out - whether his Black half or White half will dominate. Did you do any research for the book? If so what did comprise of? I didn't do a lot or research. I used a lot of what I know, for example all the places are based on real locations that I'm familiar with, though most of them aren't named. For my research I mostly had the help of my research buddy, Google, for example I had an important knife in my story and I read up on knives and found out about the Fairbairn-Sykes dagger which I modelled my knife, the Fairborn, upon. Who has influenced you or influences you as a writer? I'm influenced by many other writers and the books I read. I love Hemingway's style and his short stories in particular, and his ideas about writing do influence me - in particular his idea that you have to know a character but that doesn't mean you have to tell the reader these things, even important things, just knowing them will mean the character will come out in the story. I do believe you have to trust the reader to fill in the gaps, you have to assume the reader is pretty smart. I read a mix of YA (about a third of my reading) and literary fiction, some non-fiction and some younger children's books with my 11 year old son. The authors who have recently given me a lot of pleasure are David Mitchell, Hemingway, Kate Atkinson, Ben Fountain, Patrick Ness, Mohsin Hamid, Emily Bronte, JG Ballard, Philip Roth…I could go on, the list is actually quite long. I rarely put up with a book if it's not giving me any pleasure. I guess I've started and given up on 3 in the last year. Do you have any tips on how to get published? Be the best writer you can. To do that you need to work hard at your writing, get feedback from fellow writers whom you respect and whose feedback style you understand. Give feedback to them too - analysing writing and working out its strengths and weaknesses will benefit your own writing. Write your novel - live and breathe it. Edit your novel - ruthlessly. When submitting your manuscript follow the instructions given by the agent and always be professional. When your manuscript is rejected don't give up but do consider starting again on a new novel. I was inspired by Iain Banks' path to publication. He told himself that he would have 3 (there's that number again!) attempts at submitting different novels before he would give up. The Wasp Factory was his third, but I suspect he would have done a fourth and a fifth. If/ when the book becomes a film, what kind of input would you like on the production? I'm no expert on film making and can't imagine striding around saying much of anything about the production of the film. I'm confident that the producers will stick closely to the book (as they did with Twilight for example) - if I wasn't sure they knew what they were doing I wouldn't have agreed to the film deal. I will have some input - to ensure that the overall sense of the trilogy is followed and important but minor aspects of Book 1 are not ignored. Three. The second will be published in March 2015 and the third in March 2016. Could you give us a little insight into your next book? All I can say is that I'm writing the second book of the trilogy at the moment. It follows on from the first book and I'm trying to make sure it lives up to its title - Half Wild.